Yesterday I found two wild dessert foods. 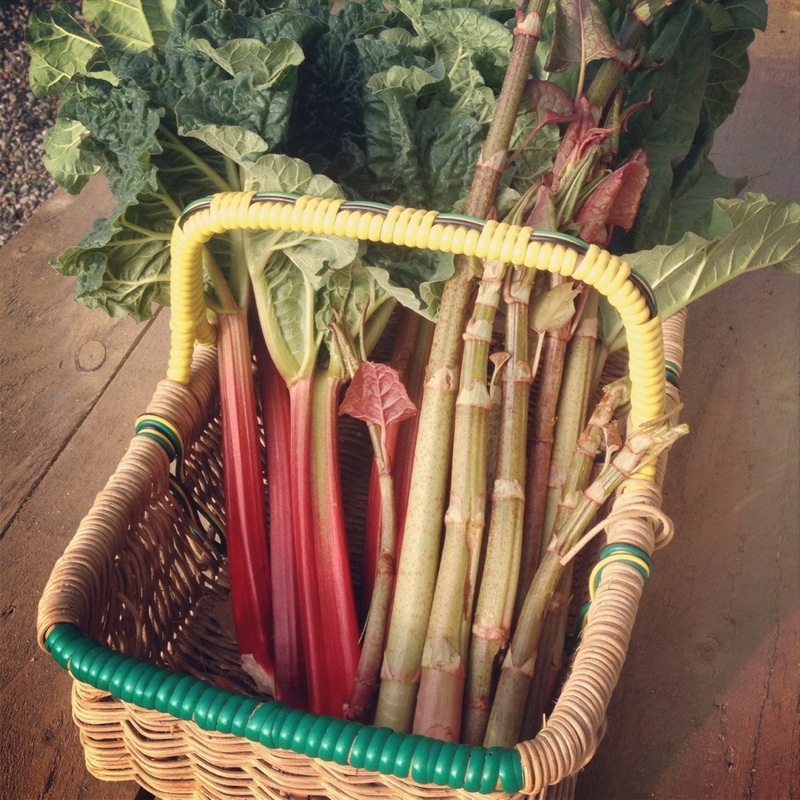 Wild growing rhubarb, a garden escapee, and Japanese knotweed (on the right of the basket. 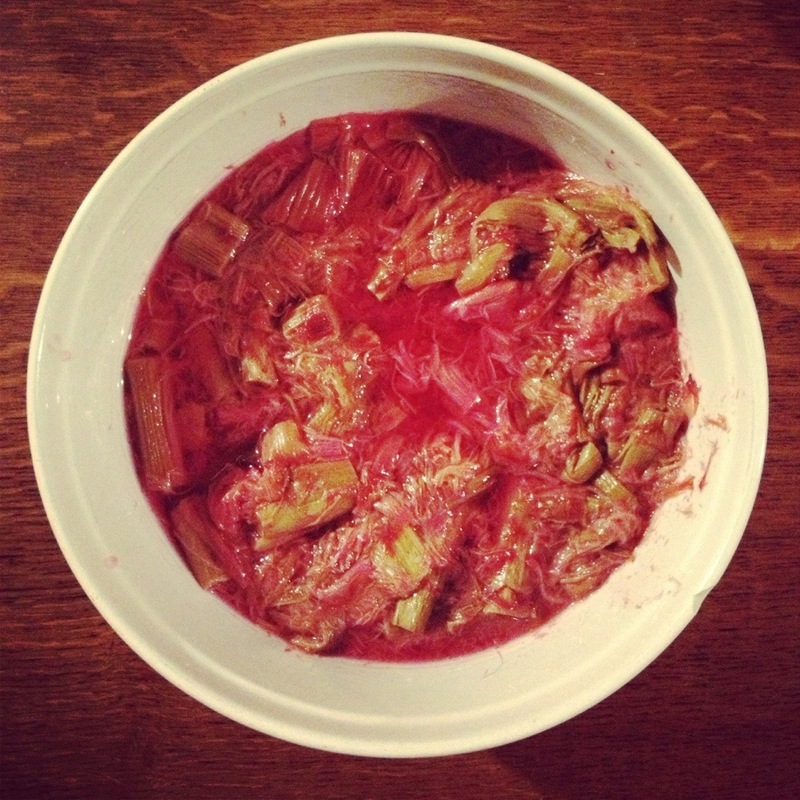 It was quite a coincidence as Japanese knotweed (Fallopia japonica previously Polygonum japonica) can be cooked in exactly the same way as rhubarb. Stewed, as below, crumble, jam, flans, cakes and of course muffins. 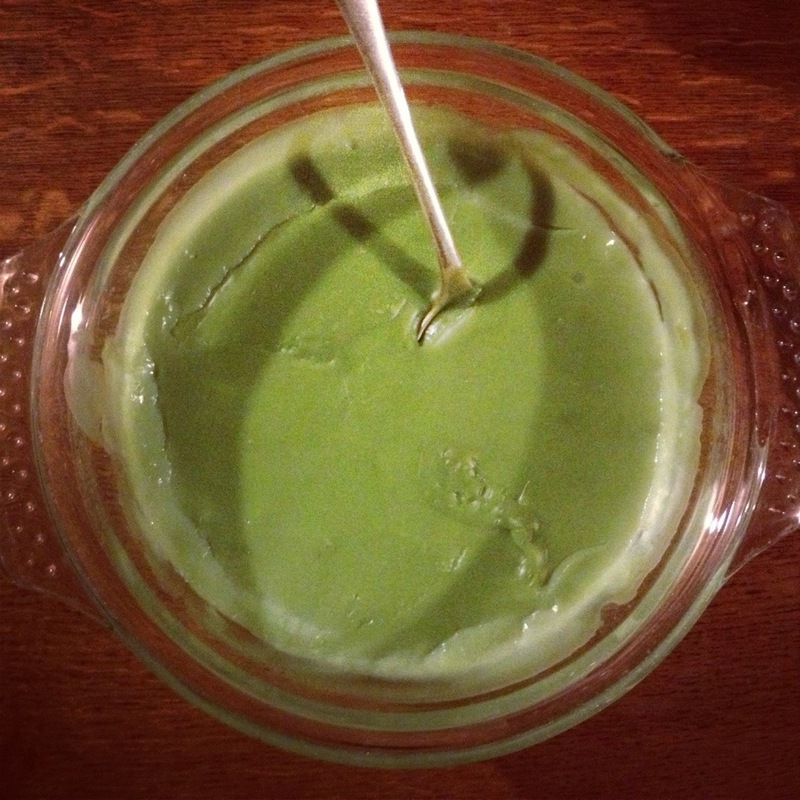 Here is the green, aniseed-flavoured Sweet Cicely custard that I served with it. Here’s the recipe for Japanese knotweed muffins. Preheat oven to 200C. Beat together the egg, oil, sugar and milk. Then lightly fold in the chopped Japanese knotweed (2 cm pieces), flour and rest of the dry ingredients. Spoon into reusable silicon cupcake cases, or paper cases in a tin cupcake baking tray until 3/4 full. Pop into the middle tray of the oven and cook for 20 minutes or until lightly browned. To test if cooked, a skewer pushed in should come out clean. I was going to post a photo, but we ate them before I remembered the camera!! Nom nom.